If you're after a casual yet totally stylish ensemble, opt for a Pringle Of Scotland ribbed roll neck sweater and black leather leggings. Both pieces are totally comfy and will look fabulous together. To add oomph to your ensemble, complement with black suede over the knee boots. If you're looking for a casual yet totally chic look, opt for a Pringle Of Scotland ribbed roll neck sweater from farfetch.com and a black eyelet mini skirt. Both pieces are totally comfy and will look fabulous together. You could perhaps get a little creative when it comes to footwear and spruce up your getup with black suede pumps. If you're hunting for a casual yet totally chic outfit, opt for a Pringle Of Scotland ribbed roll neck sweater from farfetch.com and pink leopard shorts. Both items are totally comfy and will look fabulous together. Grab a pair of black suede ballerina shoes to have some fun with things. For a smart casual look, consider pairing a Pringle Of Scotland ribbed roll neck sweater from farfetch.com with black flare pants — these two items a work setting really wonderful together. When it comes to shoes, this outfit is finished off nicely with black leather pumps. If you're scouting for a casual yet chic ensemble, try teaming a Pringle Of Scotland ribbed roll neck sweater with a white lace mini skirt. Both pieces are totally comfy and will look fabulous paired together. As for the shoes, go down the classic route with black leather pumps. 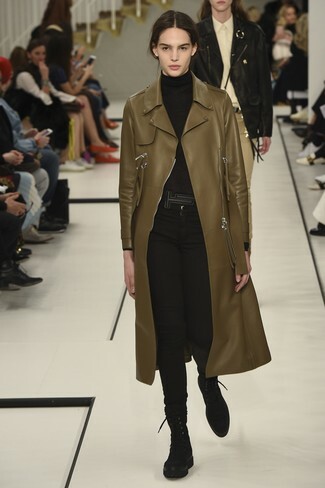 For a neat-meets-chic ensemble, choose a Pringle Of Scotland ribbed roll neck sweater and black leather skinny pants — these items go beautifully together. When it comes to shoes, this getup is finished off nicely with black leather pumps. 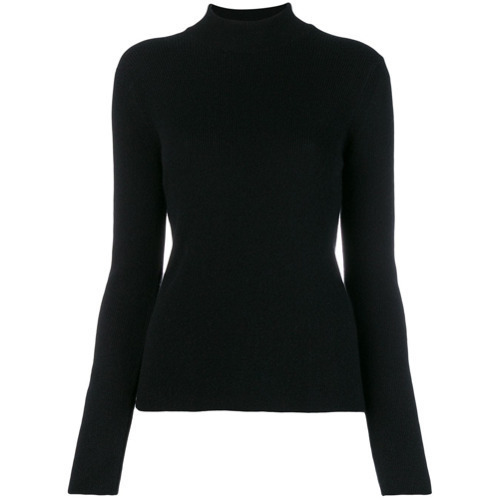 If you're looking for a casual yet absolutely chic outfit, make a Pringle Of Scotland ribbed roll neck sweater and black skinny jeans your outfit choice. Both garments are totally comfy and will look fabulous together. To bring out the fun side of you, complete your getup with black suede lace-up flat boots. If you're on the lookout for a casual yet totally chic ensemble, opt for a Pringle Of Scotland ribbed roll neck sweater and blue ripped jeans. Both pieces are totally comfy and will look fabulous together. A pair of brown leopard leather pumps will add some real flair to this getup. If you're searching for a casual yet stylish outfit, pair a Pringle Of Scotland ribbed roll neck sweater with black skinny jeans. Both pieces are totally comfy and will look fabulous together. Look at how well this getup pairs with black suede ankle boots.